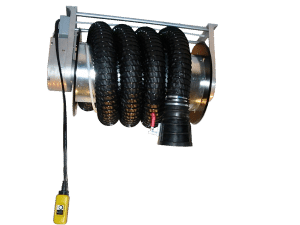 If required, the hose reel with exhaust nozzle is shut down by engaging a hanging switch, wall button or radio remote control The hose is then pulled to the vehicle with the nozzle and clamped to the exhaust. After use, the nozzle is removed from the exhaust and carried back. Now the hose can be coiled again by engaging one of the aforementioned triggering units. Ensure, that the hose is fed neatly. 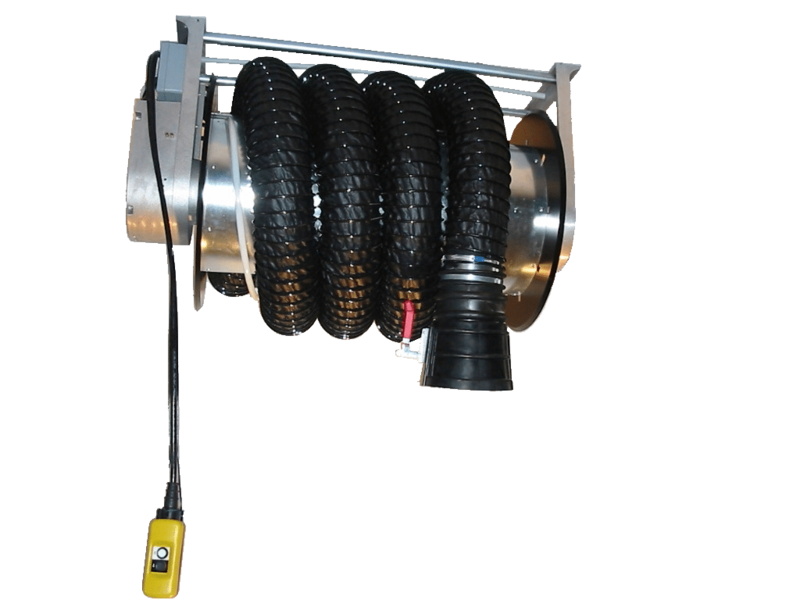 Standard end switches limit the coiling and the uncoiling.